iPad puzzle masterpiece released for mobiles. 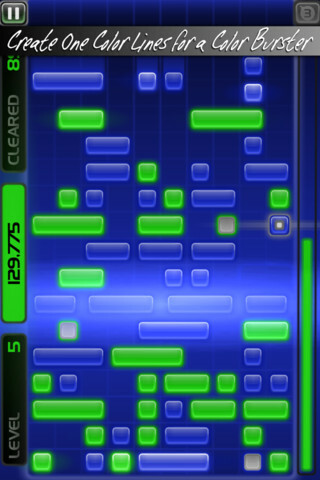 Brain-bending puzzle game Slydris is now available to be downloaded, enjoyed and obsessed over by iPhone owners. You can pick up the pocket-sized version of the game over at the App Store right now, and a quick glance at our review should do more than enough to convince you to do just that. Not only is there now a pocket-sized version of the game, you can also download and enjoy the game's catchy soundtrack for absolutely nothing. Head over to Radiangames' BandCamp page to get stuck in. The developer has also announced a sale price of $1.99 for its excellent twin-stick shooter Inferno+, which is not only reduced from the usual $2.99 price-tag, but has also been updated with a brand new game mode.